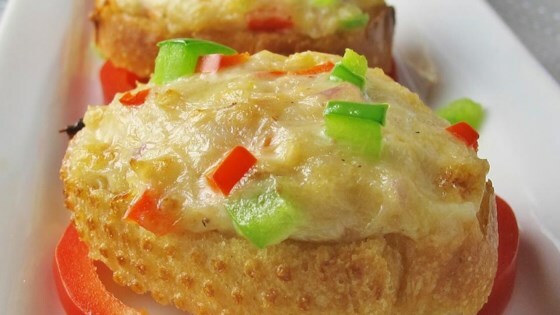 "Toast topped with a delightful mayonnaise and cheese mixture, with a taste of lemon pepper! It's easy to do ahead, and delectable. The crab is entirely optional but quite delicious!" The first time we followed the recipe, but then the second time we put it in a dish as a dip served with crackers and the dish was still warm when the dip was all gone! Very good appetizer, my dinner party loved them!